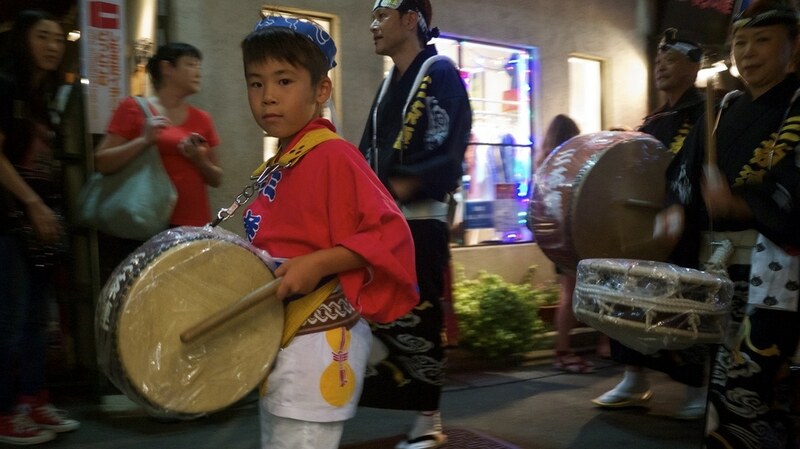 One of the main things I’ve come to love about living in Tokyo is the plethora of traditional festivals which take place in the streets of local neighbourhood throughout the year. 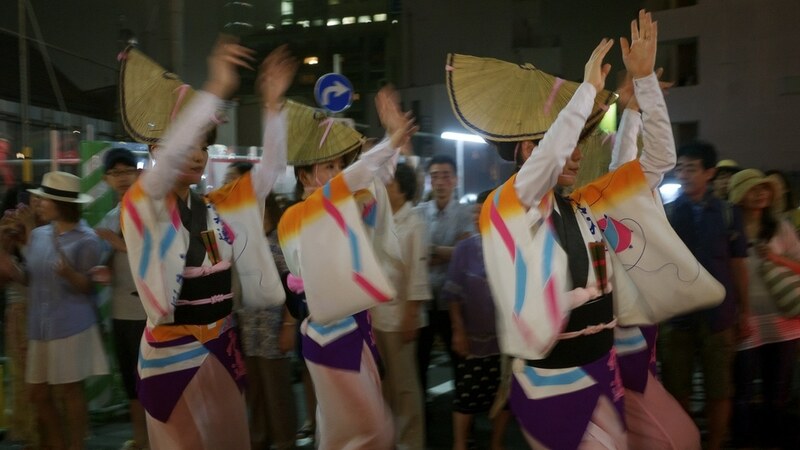 The summer months are particularly active and back in August during the Obon festival (お盆) I attended the wonderful Awa Odori (阿波踊り) dance festival held in Shimokitazawa (下北沢). 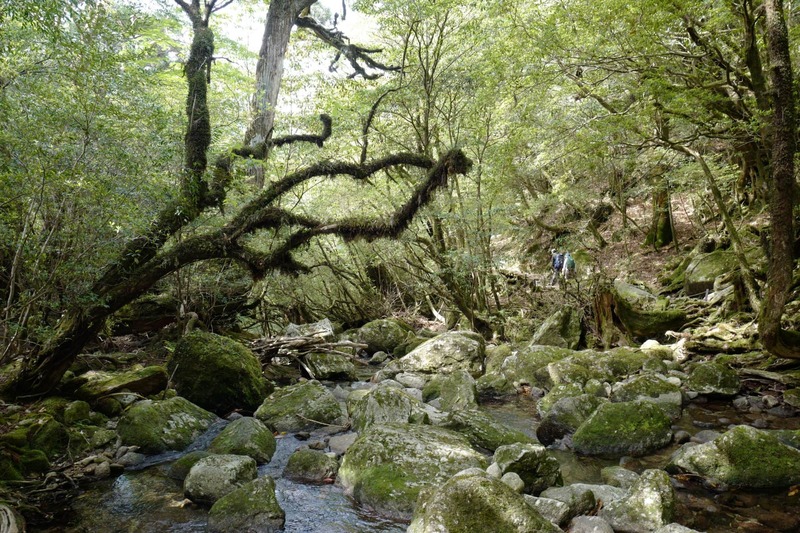 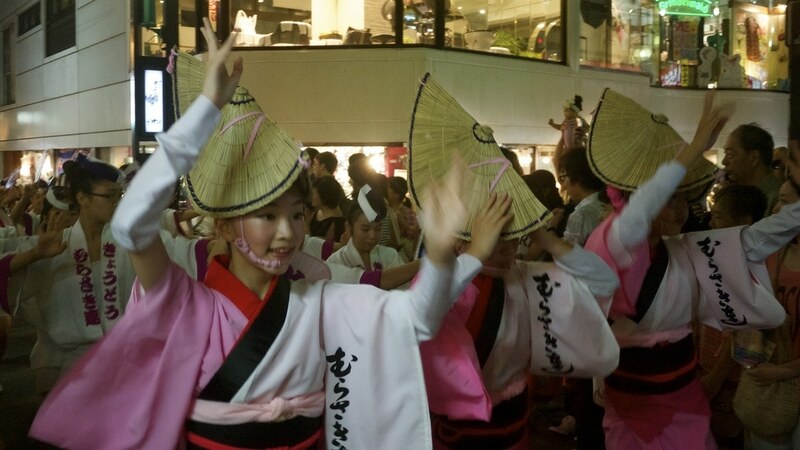 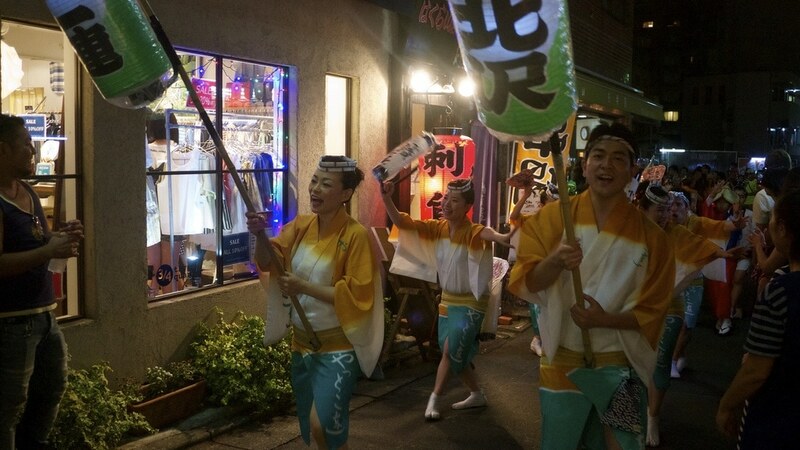 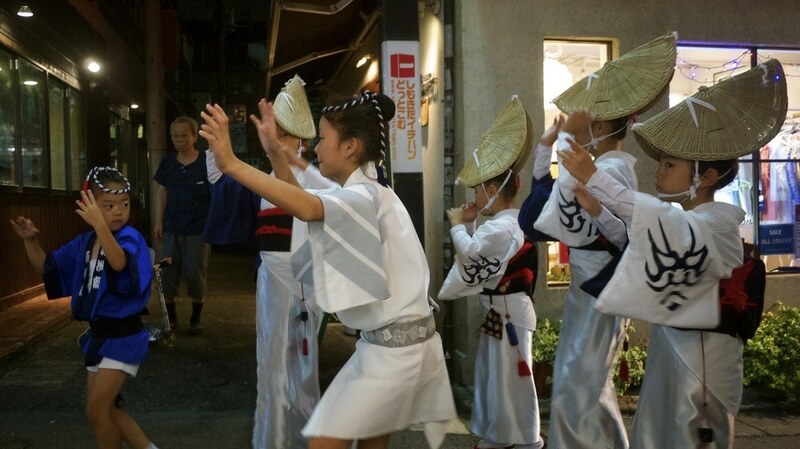 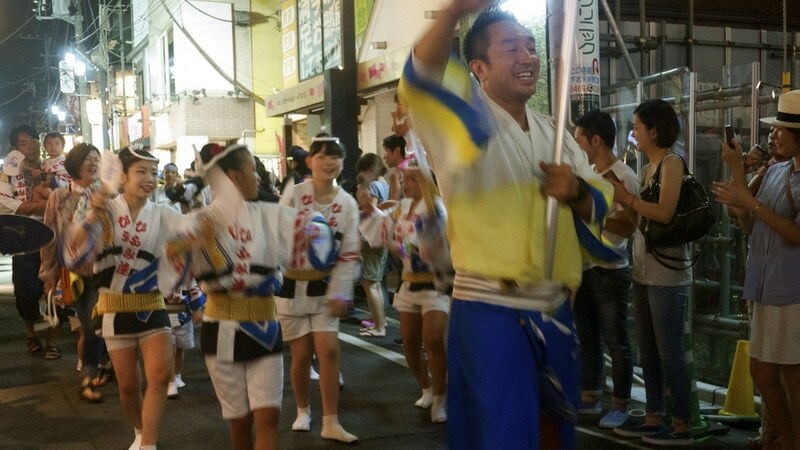 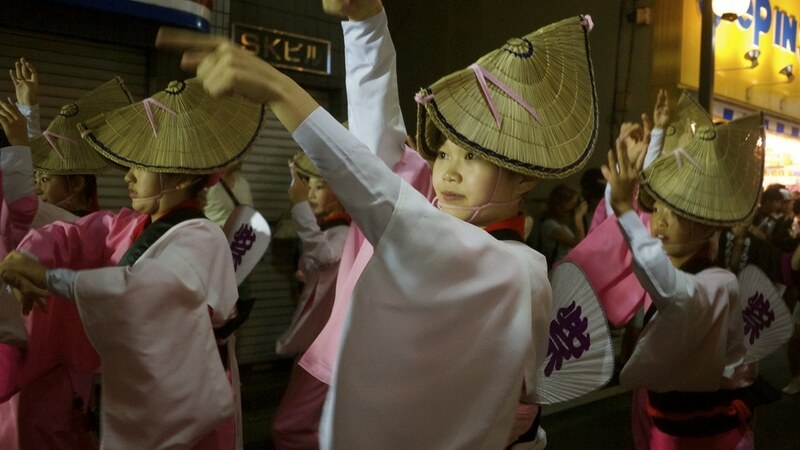 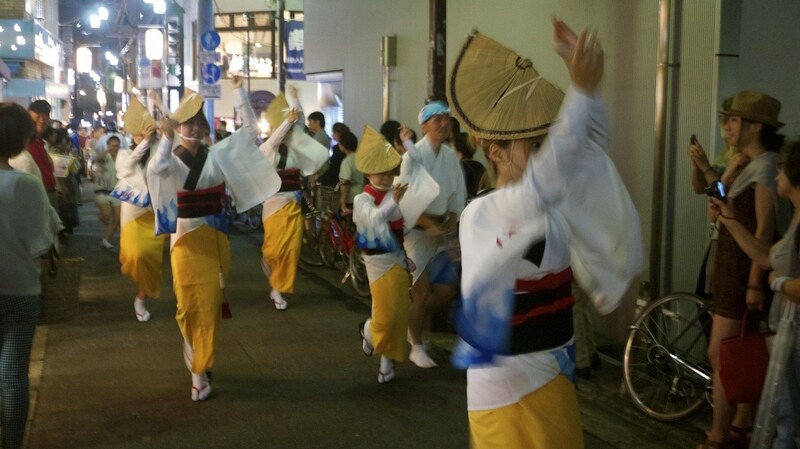 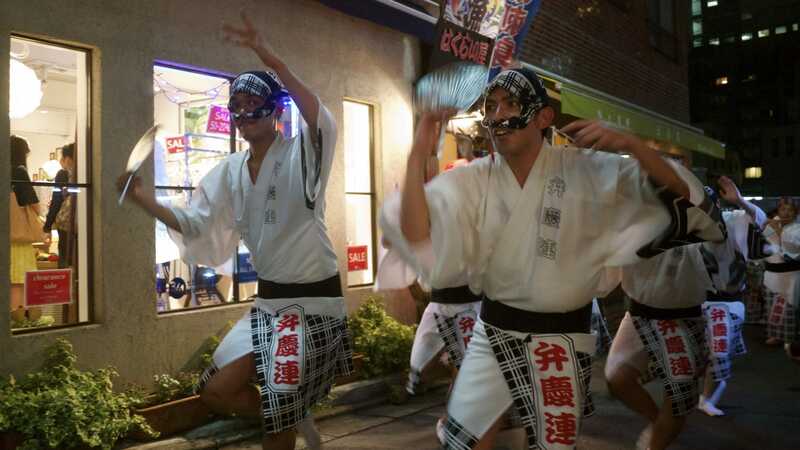 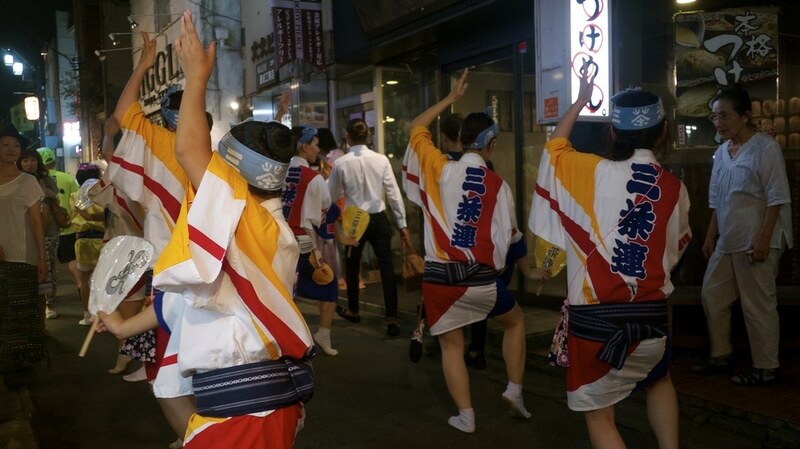 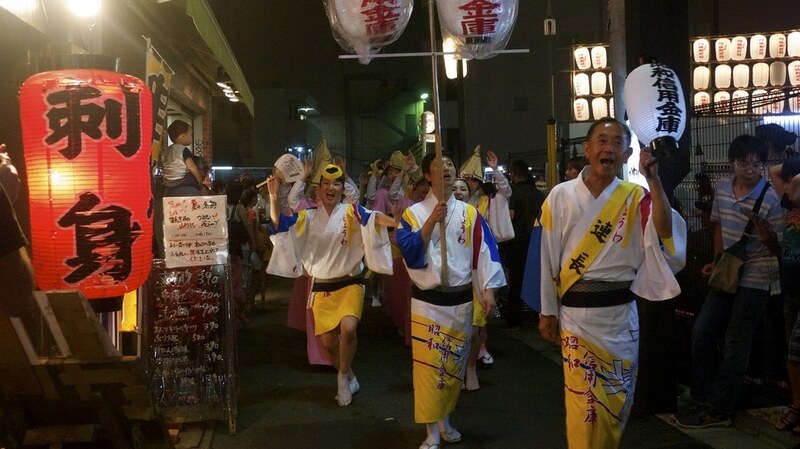 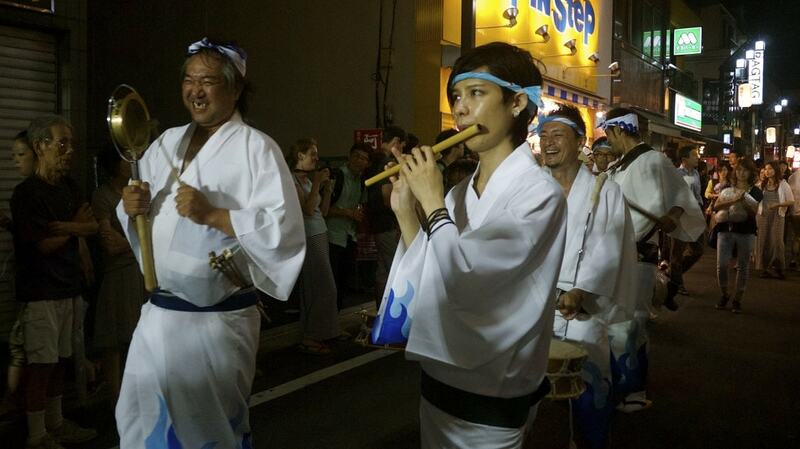 Awa is the old feudal name for Tokushima prefecture, where the festival originates, and odori means dance. 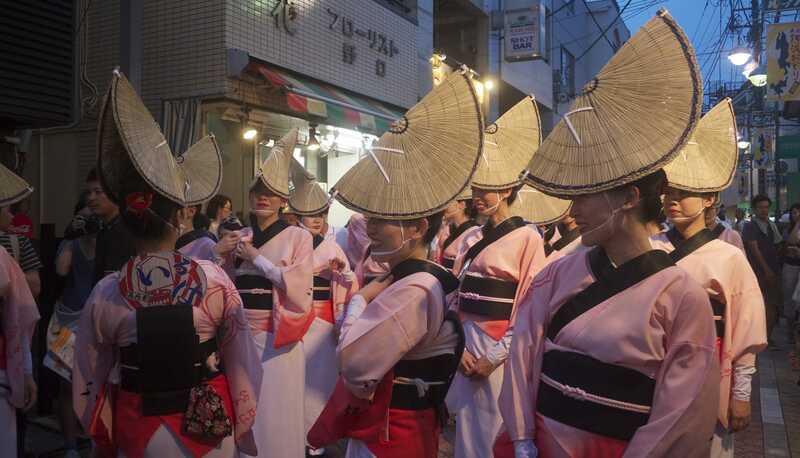 It’s a colourful affair where troupes of choreographed dancers and musicians known as ren (連) dance through the streets, accompanied by the shamisen (三味線) lute, taiko (太鼓) drums, shinobue (篠笛) flute and the kane (鉦) bell. 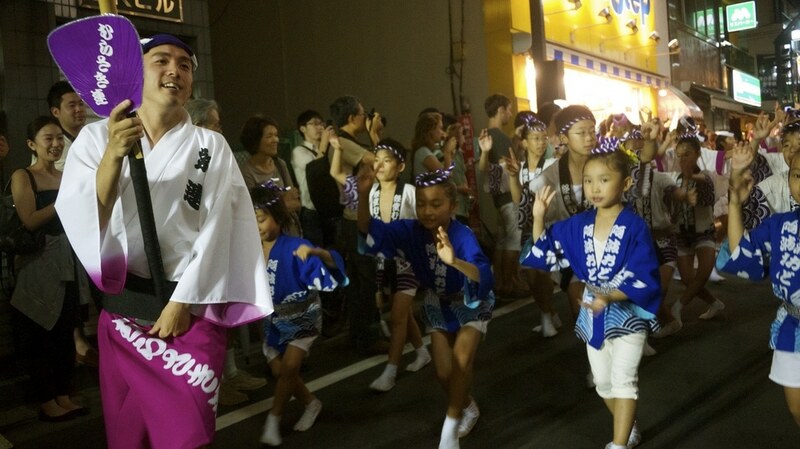 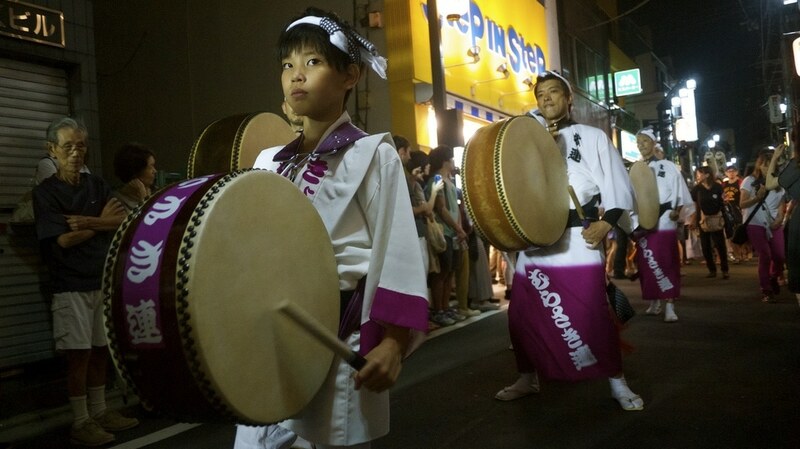 Performers of all ages wear traditional obon dance costumes, and chant and sing as they parade through the streets. 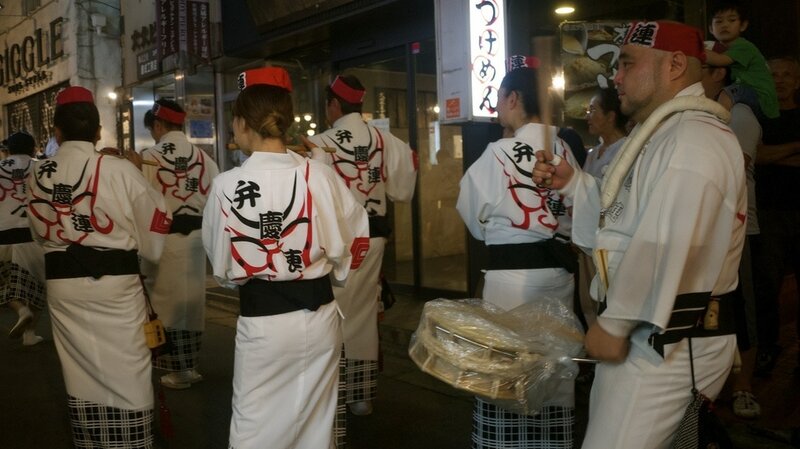 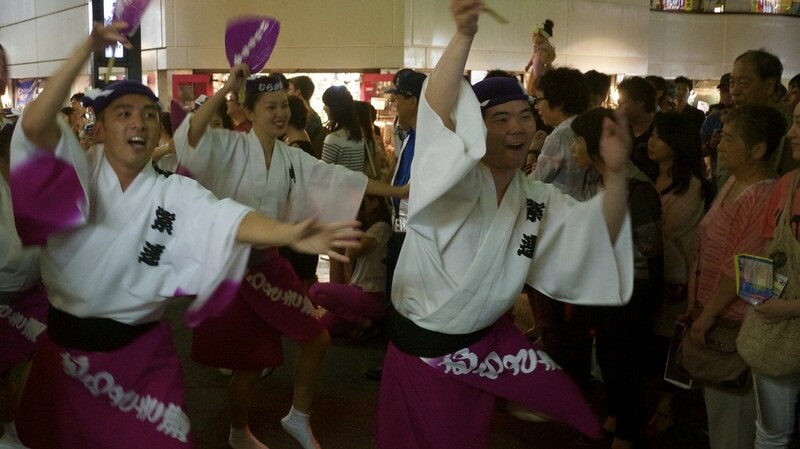 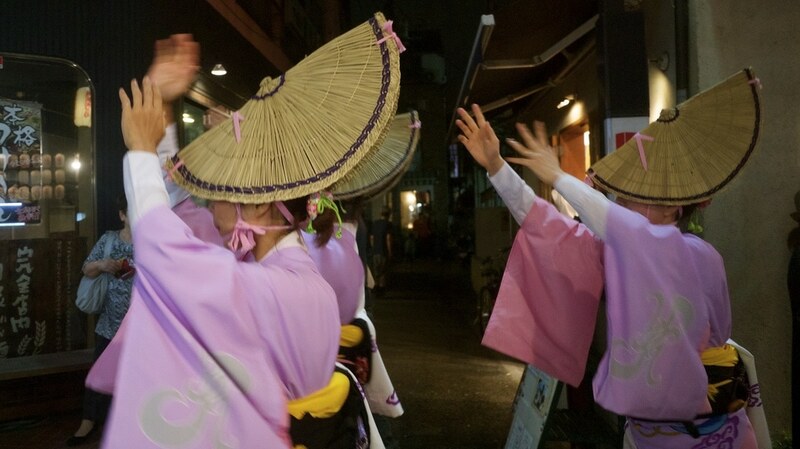 Men and women usually dance in different styles, with many ladies donning traditional Amigasa (編み笠) hats made from woven rice straw shaped like a folded circular disc or a half-moon. 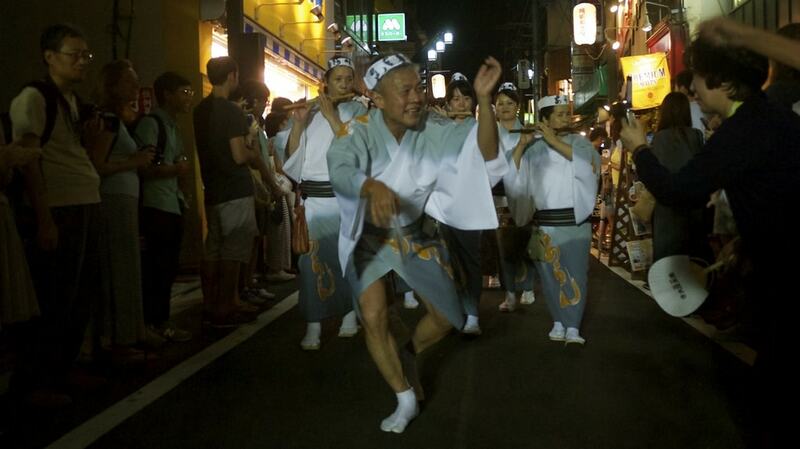 Although the festival dates back to the 15th Century, it’s only being going in Shimokitazawa since 1966. 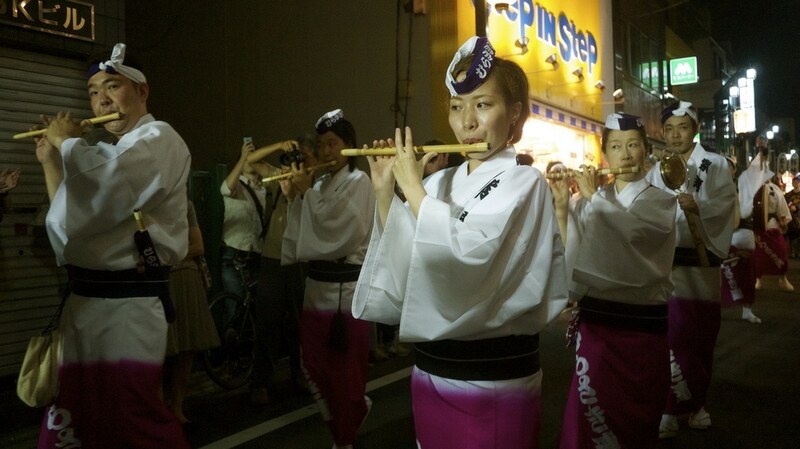 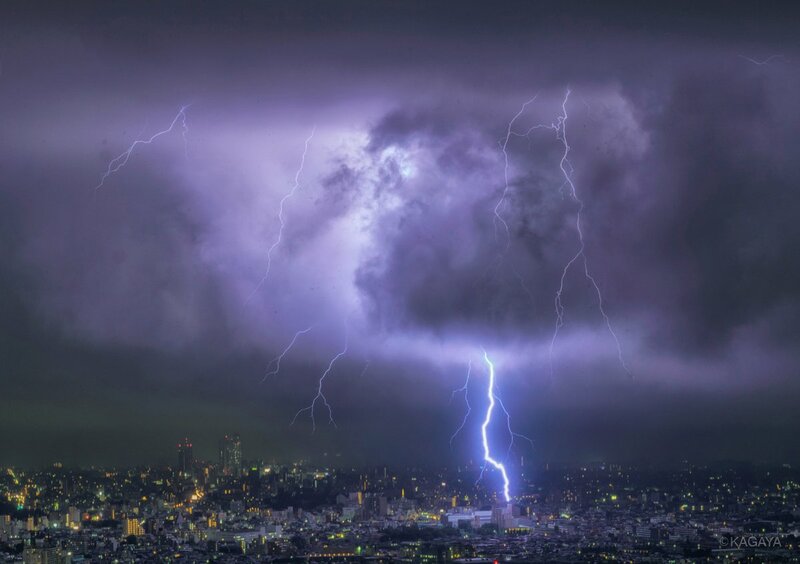 It’s well worth following Tokyobling for information and gorgeous photos of past and upcoming festivals in Tokyo. 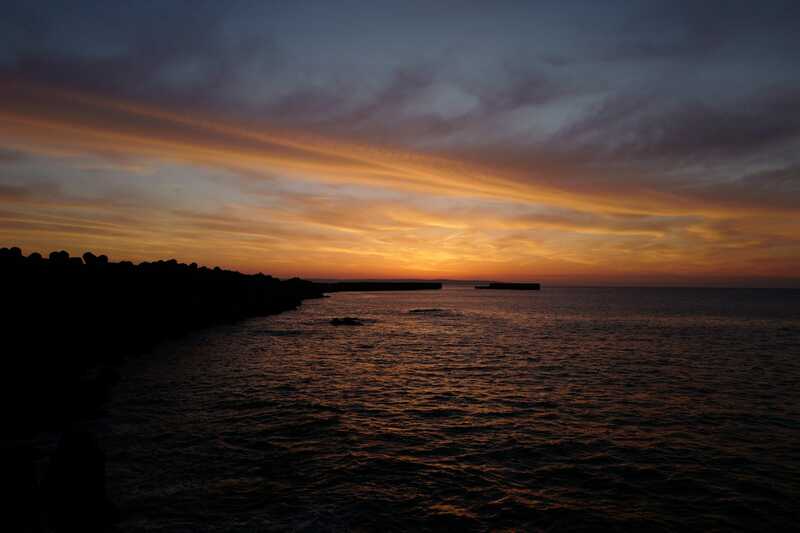 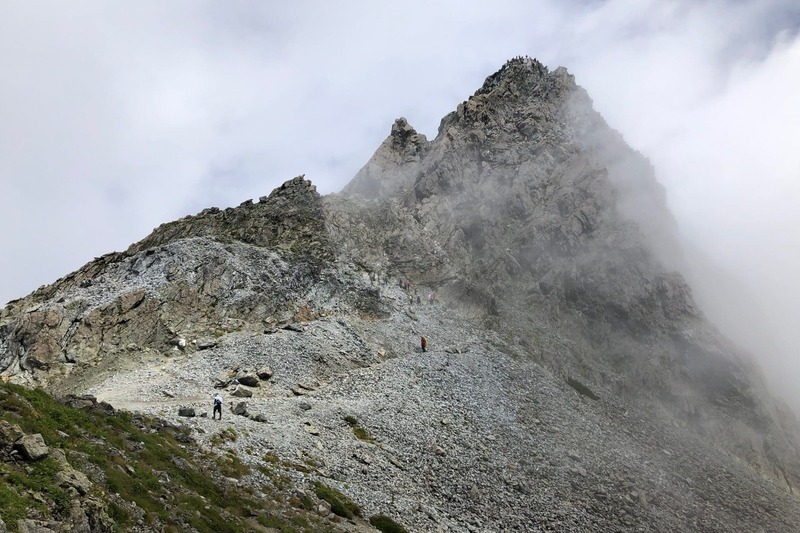 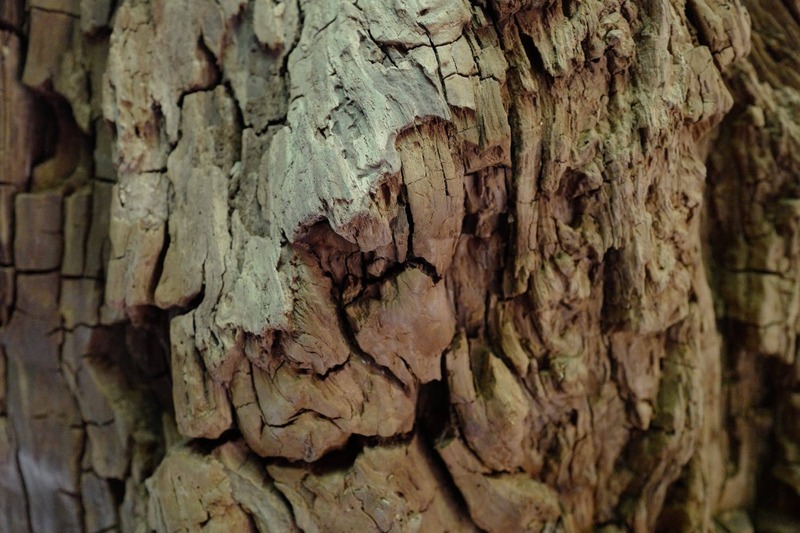 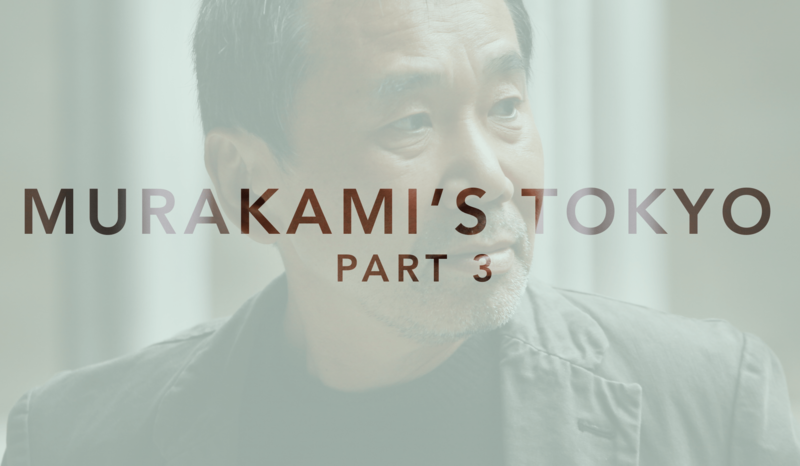 I would like to ask you some questions about your journey if you don´t mind. 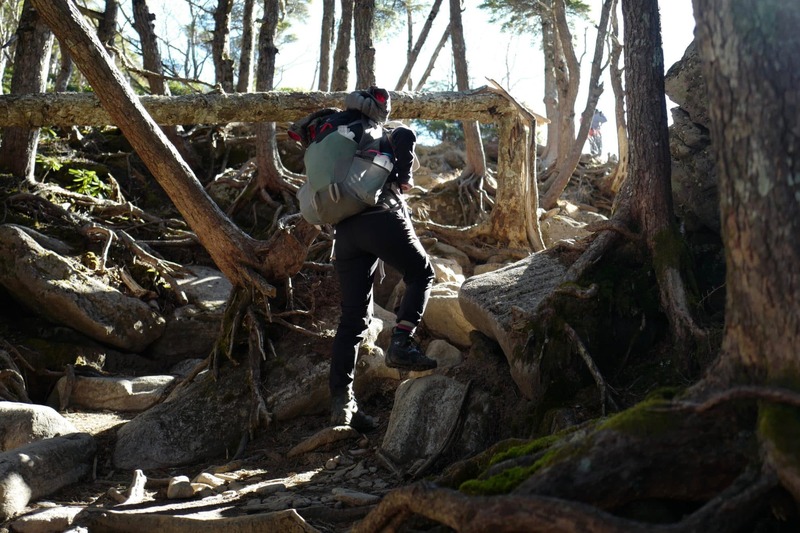 What would be the best way to reach you?